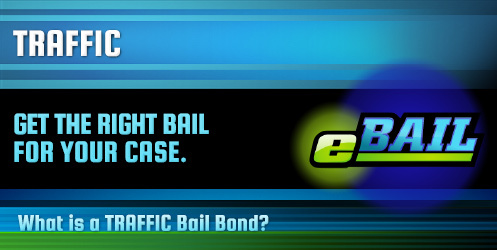 eBAIL provides Fast, Cheap, Online Traffic Bail Bonds in Las Vegas, Nevada 24/7. Also serving Traffic Bail Bonds in North Las Vegas, Henderson, Boulder City, and Nationwide. Traffic violations frequently result in the issuance of a citation or some type of warning directly on site. However, there are some more serious cases where an individual may be arrested and held in jail to wait for the appropriate hearings. If a friend or family member has been arrested on a traffic violation, it may be necessary to obtain the appropriate Traffic Bail Bond from a qualified bondsman in order for your loved one to be released from jail. What is a Traffic Bail Bond? A Traffic Bail Bond is used to help facilitate the release of someone who is accused of any of a variety of traffic violations that are serious enough to warrant an arrest. Like other types of bail bonds, a Traffic Bail Bond is used in place of paying the full amount of bail as determined by the judge at an initial hearing. Which Jails Accept Traffic Bail Bonds? After an arrest, the accused is taken to jail. There they must go through a booking process to be entered into the system to wait for a hearing on bail. During this hearing, the judge will set a bail amount to insure that the defendant will appear for future court dates and hearings. Once the bail amount is set by the judge, the accused may be released from jail in one of three ways. Pay the full amount. Paying the full amount is the easiest way to be released from jail. This amount is returned once the accused has attended all hearings. Fees and costs may be taken from the bail before return. However, the bail amount is often too much for people to pay in order for the accused to be released from jail to wait for trial. Pay 15% of the bail amount. A bail bond may be purchased at only 15% of the bail amount. This percentage is paid to a bondsman who will arrange with the jail for a release of the defendant. This amount is not returned after all hearings have been completed but is typically easier to pay. Hire a criminal defense attorney. While a lawyer may be able to help get the bail amount reduced or even dropped, this process may take days or even weeks. There is also the cost to hire the attorney as well. How long does it take to be released from a Las Vegas jail? The accused cannot be released until bail arrangements have been made through payment of bail, securing a bond, or arrangements made by an attorney. After that, the release process typically takes anywhere from 6 to 16 hours to complete. This process may take even longer depending on the jail and if it is the weekend or a holiday. 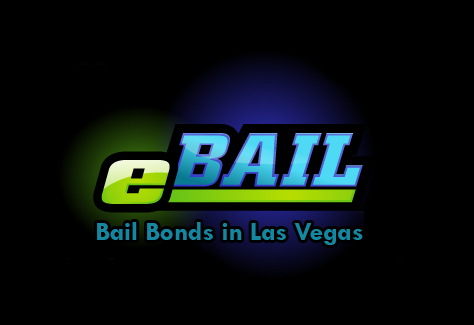 Why choose eBAIL for your Las Vegas Bail Bond Needs? eBAIL is qualified and experienced to help you get your loved one out of jail on bond. Fully licensed and accredited, eBAIL is a company you can trust to make the process and quick and easy as possible. The bondsman will determine which jail is holding your loved one as well as the amount of bond. The bond process may be completed over the phone or in person. Payments can even be made online. The 15% payment is set by Nevada law, but payment arrangements can be made for those who may have difficulty paying this amount. Courteous and professional, the bondsman at eBAIL will treat you and your loved one with respect and confidentiality. You can call us 24/7 at 702-462-9200. We are always happy to provide a “Bail Bonds Las Vegas Near Me” service! Why choose eBAIL Las Vegas Bail Bonds? “Near Me” Service – We can always come to you! Availability – 24/7 Bail Bonds Las Vegas. Any time any day! Licensed – Fully licensed by the Nevada Department of Insurance. Trust – Top attorneys in Las Vegas trust in referring clients to us. Professional – We provide confidentiality and always treat our clients with the utmost respect. Financing – Guarantees easy payment plans on the State Law required 15% bail bonds fee. Your satisfaction is very important to me. If you have any questions or concerns please contact me directly at 702-462-9200. Friend or Loved One Arrested? Friend go to Jail this Weekend? Can a Bail Bondsman help if I have a warrant?